CHLOÈ RESORT 2014 The relaxed, tomboy-ish, beach-y-vibe translated to simple and easy looks. Wide-leg cropped pants, silk blouses, leather tees are MUST HAVES, the colors too. All the layering is an amazing combination, very inspiring for everyone. 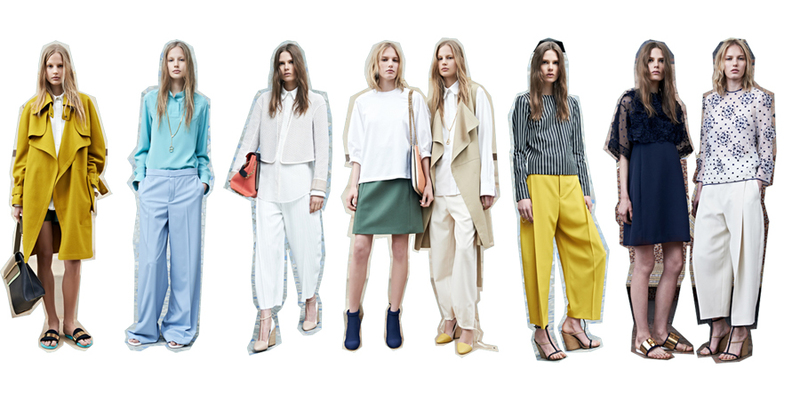 ACNE RESORT 2014 swingy shorts meet the white look, lets take a look at the scandinavian coolness. The layering in combination with the colors give the looks volumes. Less is more is a somewhat trite cliché, but in this case it look good at all.